If you are still running Microsoft Windows XP Service Pack 2, then here is some bad news if you didn’t hear about this last year. 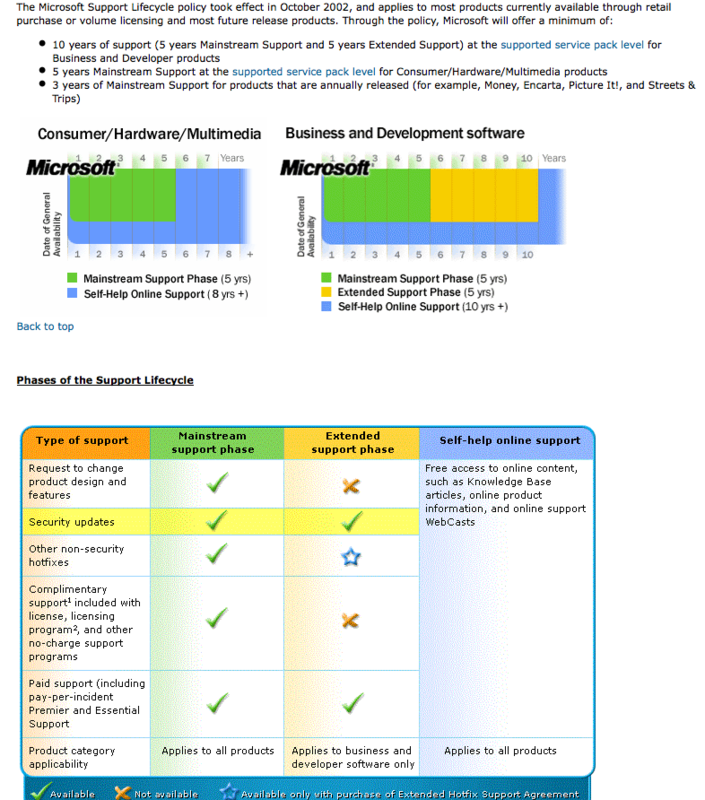 From the 13th July 2010 Microsoft will be removing support. So this means no more security updates, hotfixes etc. So now might be a good time to update to Service Pack 3, its only been out 2 years so might be nice to be an early adopter 🙂 If you are feeling really adventurous you might want to consider moving with Microsoft Windows 7?? If your running XP SP2 on you embedded systems you have until Jan 2011 to do the necessary. This entry was posted in Uncategorized and tagged July 13th 2010, Microsoft XP, No longer supported, Service Pack 2 on June 2, 2010 by Dale. Look out Belgium, all the Eurotrash Security crew are going to be in attendance at BruCon 2010 in September. This entry was posted in Uncategorized and tagged BruCon, Eurotrash Security Podcast, Head Hacker on May 11, 2010 by Dale. The Cyber Security Challenge UK is a not for profit organisation run by public and private sector leaders in information security. I had heard about this before, but was given a hand out at Infosec 2010 so thought I would pop a quick post up about it. Cyber Security Challenge UK will work with recognised experts to develop a series of professional â€˜gamesâ€™ that replicate the problems cyber security professionals have to deal with every day. They will require contestants to use all their talent and know-how. To successfully proceed to the next round of each challenge contestants will be required to display quick, intelligent and creative thinking and the potential to develop the cyber security skills the UK needs to employ. Competitions will be open to all ages and skills levels, some will be targeted at school leavers and undergraduate students. Successful candidates can expect places in regional workshops and the best will receive offers of scholarships, places in mentoring schemes within leading private and public sector organisations and other career enhancing opportunities. It doesnâ€™t stop there, ongoing communications will keep contestants informed about the best cyber security courses and jobs, with some contestants being introduced to the appropriate colleges and employers for their skill set. For more information on the UK Cyber Security Challenge and to get involved visit the site. This entry was posted in Uncategorized and tagged CREST, Cyber Security Challenge, DTEX Systems, Field Fisher Waterhouse, IAAC, IISP, Information Security Awareness Forum, Knowledge Transfer Network, QinetiQ, Royal Holloway, UK on April 30, 2010 by Dale.